When I was young, I had a very high metabolism. I've always been nerdy, and academic pursuits came naturally, so I never learned the best way to work hard at a skill - and I've never really had to work to stay slim and active. These days, it's a different story, and I've found myself getting left behind in activities I enjoy, by my stronger, healthier counterparts. Since I joined Fitocracy, though, I've learned lots that will help me towards greater functional wellness, and it's nice to see my results quantified by the Exp/Lvl system they have in place, as I track my progress. 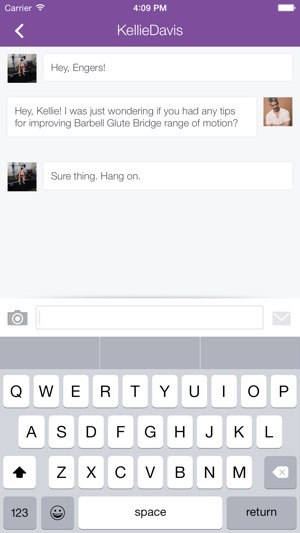 Thanks for helping an old nerd get it together, Fitocracy! Update: it seems they've done a lot to streamline the app, and it has gotten so usable and navigable! Love it! Update the second: Still loving it! 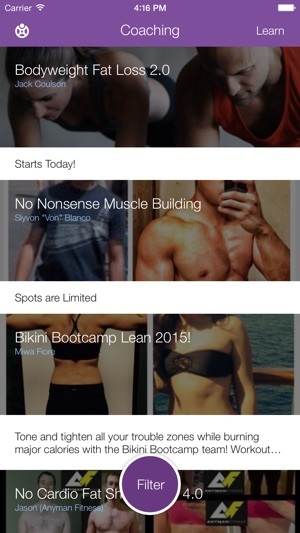 My social groups are more navigable, now, and I still love this app for tracking my workouts! 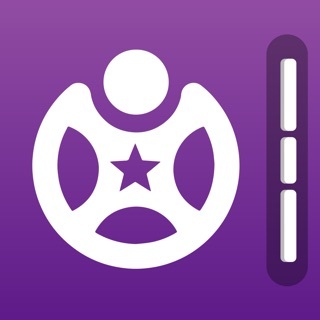 Update the third: Now a Fitocracy Hero! 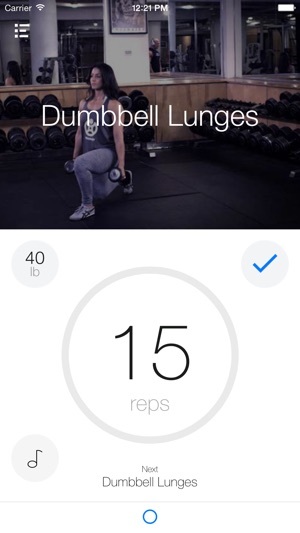 This app is far and away the best fitness app in the entire App Store. Update the fourth: Still loving it! Leveling like a beast, and I use Fito more often than Facebook or Twitter, these days! Update the fifth: still loving the app and its features, but a little annoyed that I can’t seem to unfollow someone who’s pouring stuff I’m just not into all across my feed. That’s why the rating went down. Basic functions need to work, as well as trackers and new workouts/exercises. Best app I could find for free that did most everything I wanted. I wanted to be able to input workouts prior to doing them, and track each set I did. It’s easy to use during your workouts, and has a very large repertoire of exercises. It appears to have been desired and marketed more towards females (all pictures of exercise demonstrations is one woman) which initially didn’t appeal to me, but that’s really not important if the demonstration picture is a male or female. 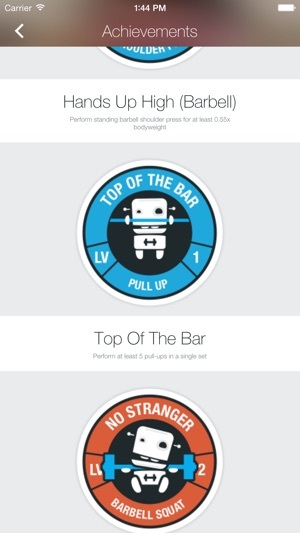 Best fitness tracking app. And the fact that you can go back and just click “repeat workout” and then change the reps/weights set by set really allows you to know how to push yourself harder each workout. 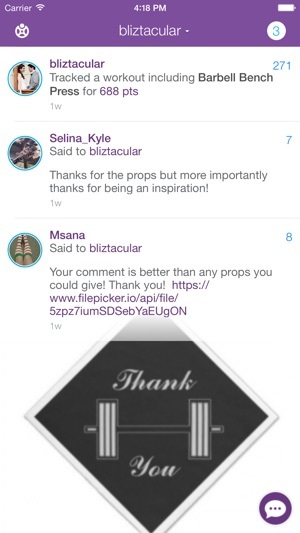 This app has 5 stars from me. I downloaded about 9 other apps before this one and by far this one wins! How is this app still such a mess? I got into Fito years ago, not long after they first started. I left the site after they released a major update to production that was completely unusable, demonstrating that they weren’t serious about their QA testing. Having just started lifting recently, I thought I’d come back and see what it’s like now. What do I find? Searching for exercises, I can’t see what I type into the search bar. When I complete a workout, the screen that I assume is supposed to show me my score doesn’t show me anything. And when I go to view the workout, it shows up on the day before I added it to. Stupid bugs that show this team is clearly still not serious about testing their updates prior to release. I’m done.